Ciudad Juarez sits on the Mexican bank of the Rio Grande. On the other side of the fence, directly opposite and in surreal proximity, is El Paso, Texas, USA. Juarez is a city scarred by profoundly complex geopolitical, social and economic issues including drug cartel violence, femicide and poverty. A brutal drug cartel war escalated in 2007, leading to widespread violence and a major crackdown by police and the army. In 2010 Ciudad Juarez was the most violent city on earth, with 3,500 murders occurring. The same year, El Paso Texas was named the safest large city in America. Juarez is home to hundreds of maquiladoras – assembly plants producing items by some of the worlds leading companies for international export. These stark anonymous edifices mostly employ female shift workers, who are transported in used American school buses to and from the colonias – the vast slums that sprawl into the desert. The factories form a large web of industrial estates on the Mexican side of the border, entrenching inequity through the exploitation of cheap labour. While young women work long hours for low wages, many young men are lured in by the life of the narcotraficante or a high risk escape across the river to the ‘land of opportunity’. Other young men pursue the creative outlet of urban street art and rhythm poetry as a means of coping and escaping gang life. For women, Juarez has been a notoriously dangerous place to live. Since 1993, femicide, the intentional gender based killing of women, has lead to hundreds of violent deaths of women in Juarez, many of which have gone unreported. These images were taken between 2012 – 2015 during the filming of two documentaries; Blood Rising which deals with femicide, and Frontier Revolution which explores the prospects for the young people of Juarez in the aftermath of the cartel war. 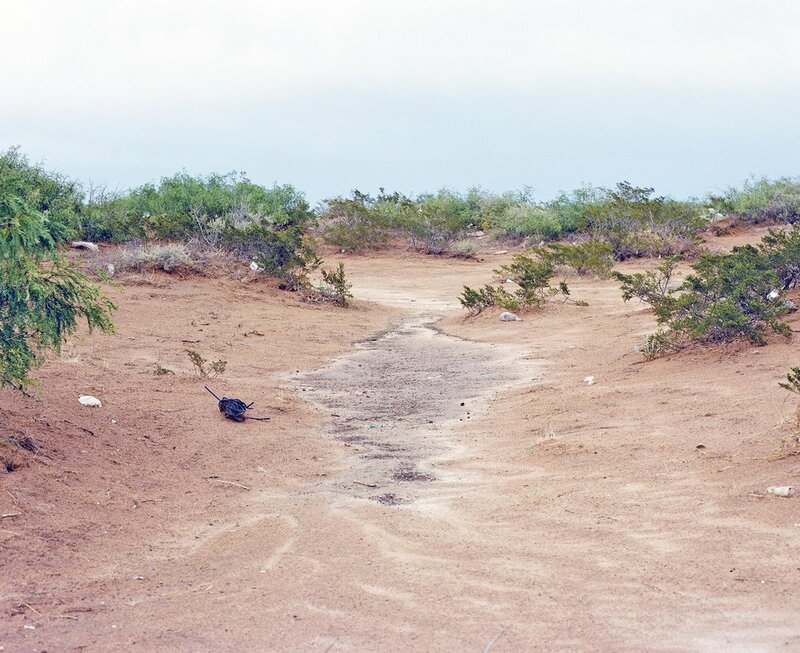 They seek to explore the economic and social terrain of this frontier – a landscape of brutal paradox, where brightly painted edifices and publicly funded sculptures juxtapose with dilapidated concrete dwellings, body dumps and the dust of the Chihuahuan desert.